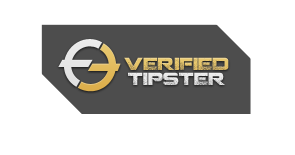 A genuine soccer betting tipster with 100% records monitored and hits rate above 80% is the best news for punters that been looking for the most profitable betting resources. Unlike other soccer tips websites or punters, SyndicateSoccer do not amend or change our results. SyndicateSoccer believe that in any business, honesty & integrity are important aspects. SyndicateSoccer is now a monitored tipster with all past, present and future records 100% monitored by a reliable indepedent monitoring company. Syndicatesoccer © 2014 | All Rights Reserved.